All children love a good challenge. 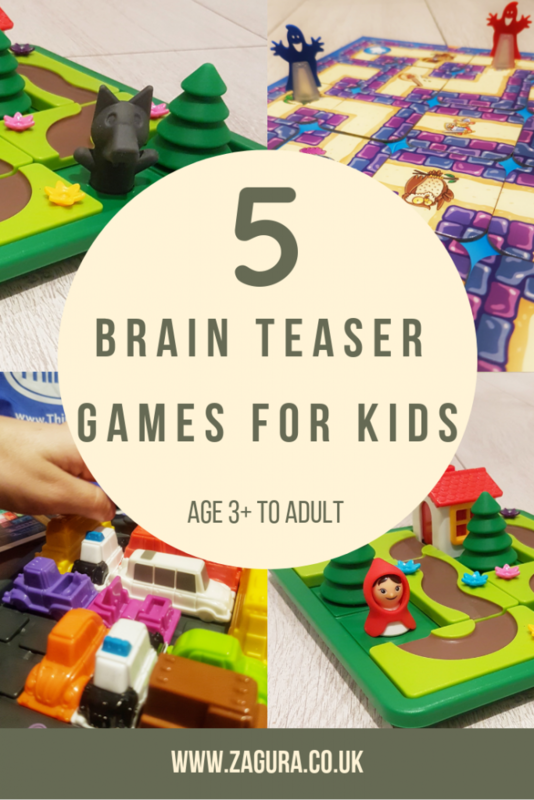 And when the challenge is fun and comes as a brain teaser game, kids do become interested! I’ve always loved this type of games. When I was younger, I remember my grandfather introducing the brain teasers to me, not with the well known Rubik Cube but with a wooden 3D shape puzzle. I could spend hours playing with it, trying to figure it out, and then start all over again! My kids had no escape from these games, I did get them some (not sure if they were more for them or for me…)! 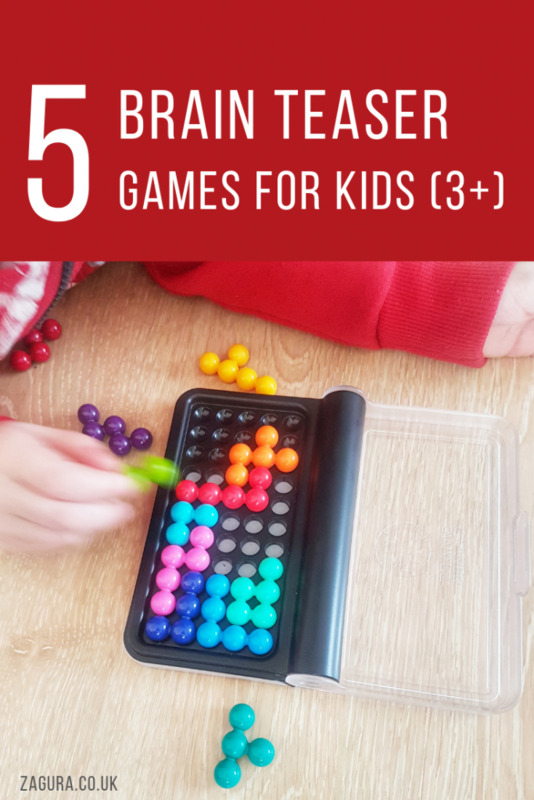 Here is a list of the 5 brain teasers my kids love the most – please note my kids are 3 and 5 years old at the moment, and they both play, solve and enjoy these games. And so do I! All these games are well made and have been in our home for at least half a year. One was bought from a charity shop, two were received as presents from family and two were bought online (so no manufacturer is involved in this post in any way). So, here is the list! 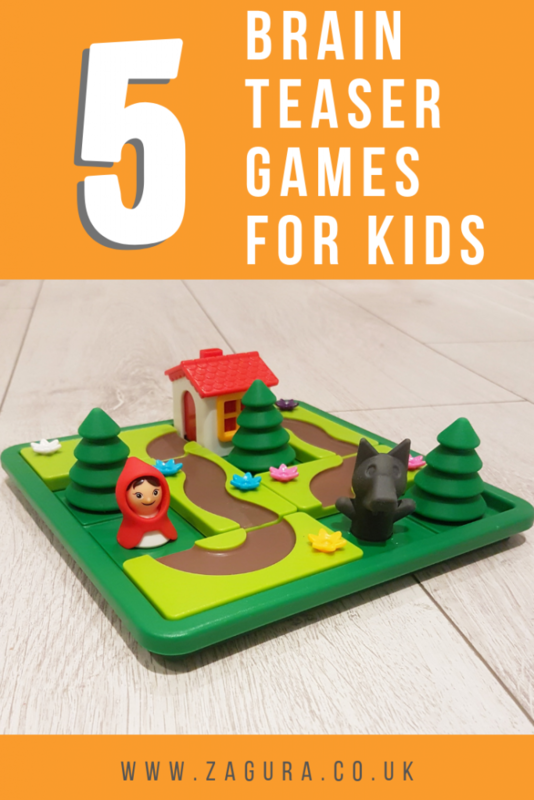 This game is made by Smart Games and it is a great choice to introduce kids to the idea of map and maze. It has a board on which the trees, the house and the characters are placed as shown in the challenges in the included book. The objective is to use the 5 path pieces to build the road to granny’s house. The Little Red Riding Hood needs to get to the house in 24 challenges, and in another 24 challenges, both the girl and the Wolf need to get to the house. The challenges are graded, from beginner to master, so kids get used to the concept first with easier challenges. 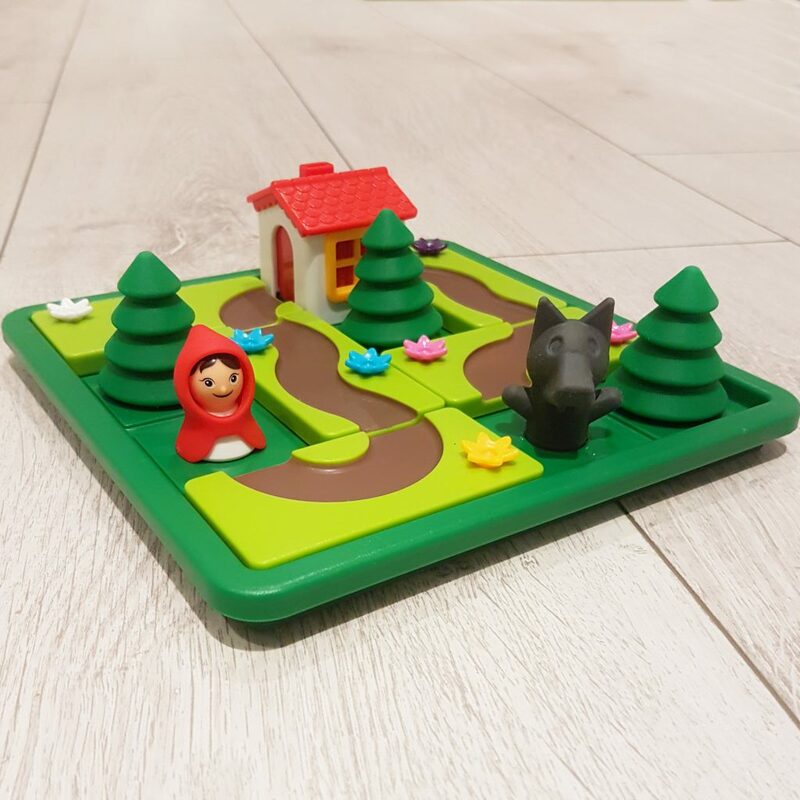 The game is recommended for 1 player between 4 and 7 years old, but my kids play this together – she builds the path for the girl, and he builds it for the wolf, or they take turns, each of them completing a challenge. Also, inside the box there is also the story book of the Little Red Riding Hood, it’s actually a picture book, with no words and with a modern twist on the original story. 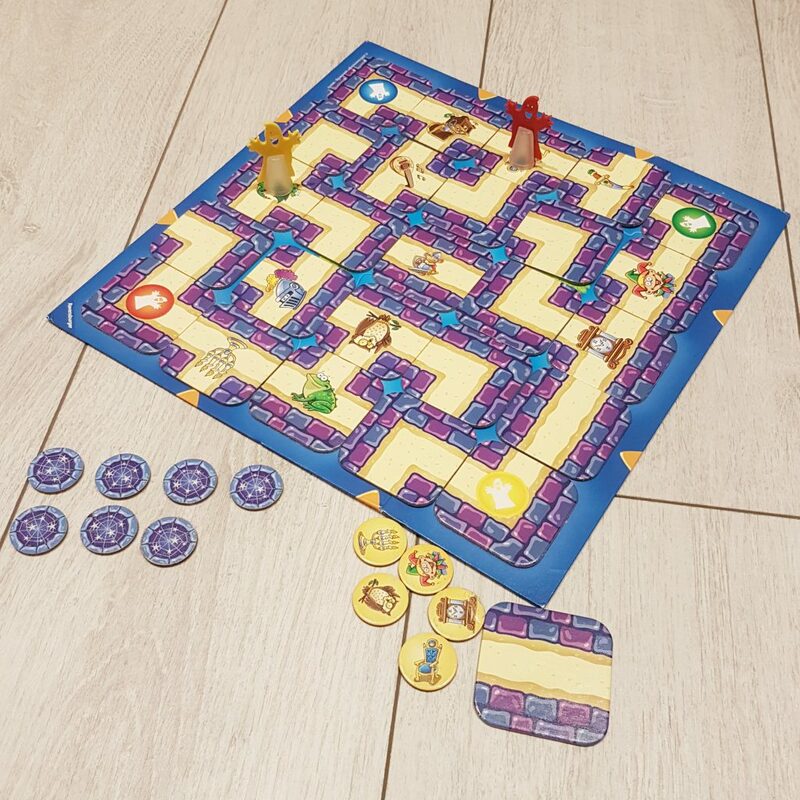 Ravensburger took the maze idea to the next level with this game because the maze here… is moving! Let me explain. The board has 9 fixed pieces, 16 pieces that are randomly placed on board at the beginning of the game, and 1 extra piece. The players have ghosts and they need to get to the ‘treasures’. On each turn, the extra piece is used to move a row or a column in the maze (a new piece is pushed out of the maze and becomes the extra piece), therefore the whole maze changes! And the most challenging part is exactly this: to try and imagine how the maze will look, which paths close or open if the extra piece is placed in a certain place. This is a family board game, and it’s quite challenging even for adults! Younger kids (like 3 years old) might need help at times, but the fun is just the same for all the players regardless of the age, trust me! If you have ever played Sokoban (remember the Windows 3.11 version? No? Ok.), you will so enjoy this game! I know, it’s for kids, but trust me, it’s challenging and fun for adults too! So the whole idea of the game is to get the ice-cream van out of the car park. The parking board has different cars in different places, as per each challenge. Because yes, there are 40 challenges, from beginner to expert (10 for each level). You also have the solutions on the back of the cards, but where’s the fun if you look at them, right? 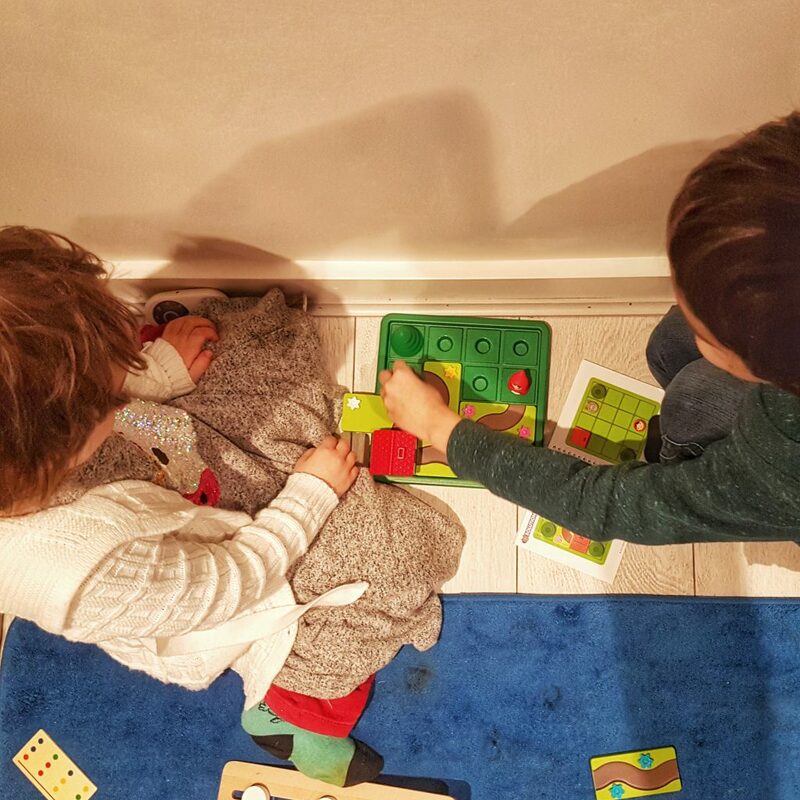 The game is from ThinkFun and is recommended from the age of 8 up, but both kids of mine love this game. Even my daughter who’s 3 has started to solve the beginner challenges (after watching her brother solving all of them). The best thing about this game is that you can add extra packages of challenges! My son asked for one a few months ago, after completing the whole 40 challenges included in the game, so this is how I know. We are all still working on them. Another great game from Smart Games, this time an ability game with 101 progressive challenges, in 2D and 3D, from 6 years to adult. This is the game the kids took last summer in our camping trips, they now take it on train journeys or to have and play at a restaurant. Even though it’s a 1 player game, it can easily be played as a team or by taking turns. They are currently playing the 2D challenges, haven’t yet tried the 3D ones. And I can tell you, this game is perfect as a gift for adults too, it’s a great brain teaser! So the idea of the game is to use the shapes you have to cover the whole board. The easiest challenge is when most of the pieces are already on the board and you need to find where to place the remaining 3 pieces. I am talking about the 2D challenges. 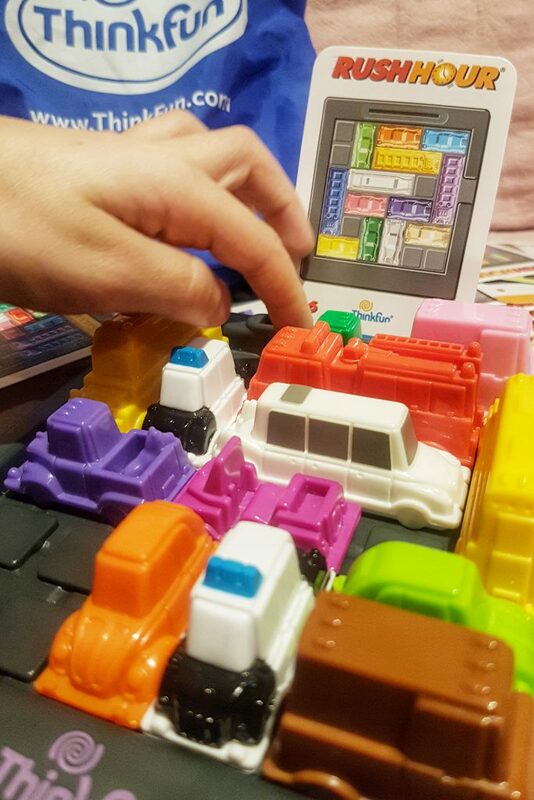 For the 3D ones, the board is on the other side of the box – speaking of which: the box is slim and contains all the pieces and the booklet so it’s really easy to take it with you anywhere you go. 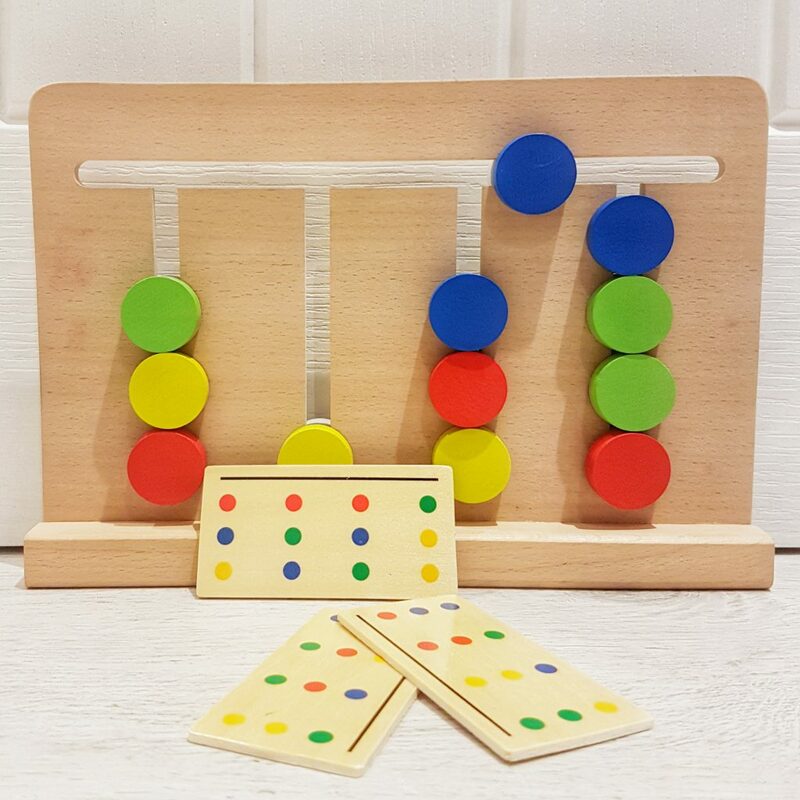 This brain teaser puzzle game is made by Toys of Wood Oxford using sustainable wood with environmentally friendly and non-toxic paints. 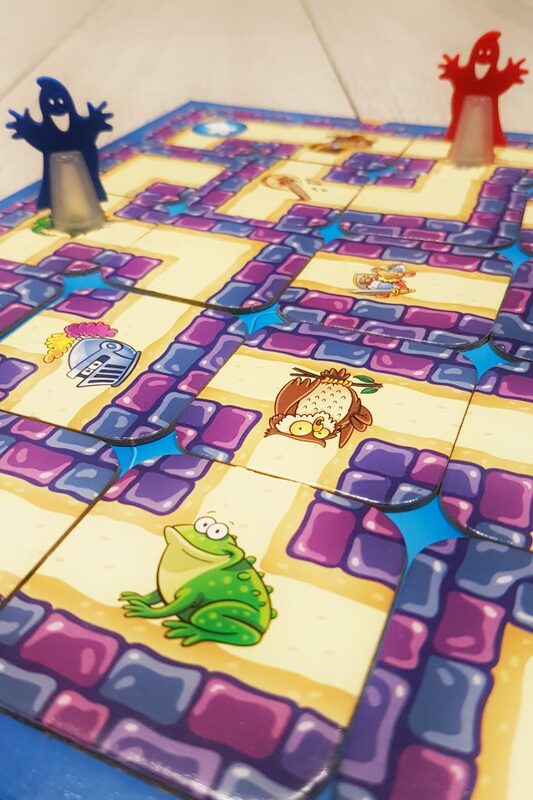 The game contains one board and 18 pattern cards. The idea is to slide the 12 disks (3 of each colour) on the tracks so that in the end they correspond to the disk distribution on a certain challenge card. Suitable for kids older than 3 years of age, this game can be played solo or in a competition by timing each player. 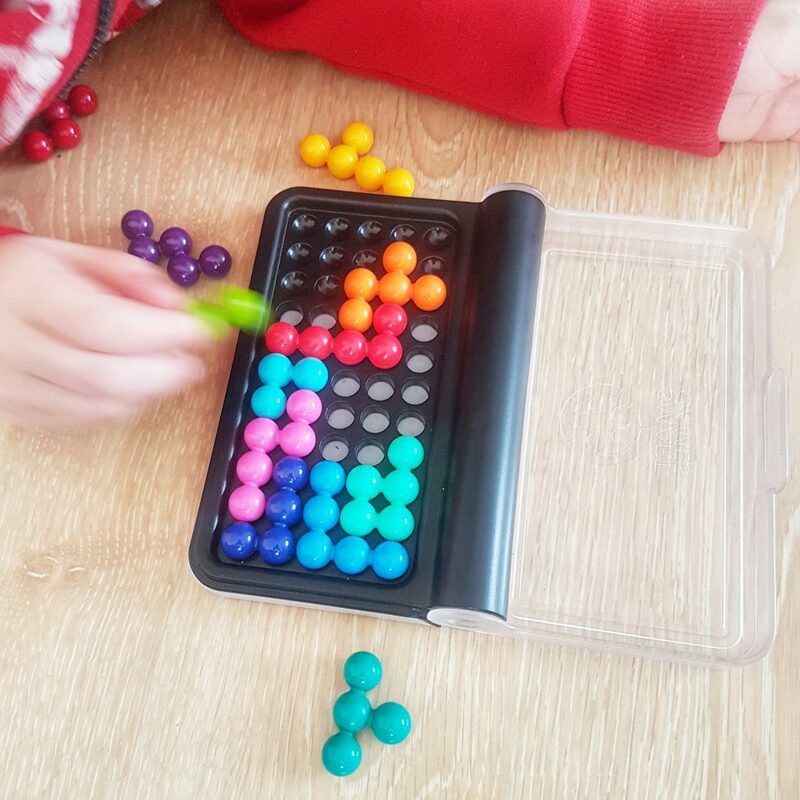 As for us, the kids usually take turns choosing a challenge out of the 18 available and try to solve it, or they work as a team helping each other. So these are my kids’ (and my!) 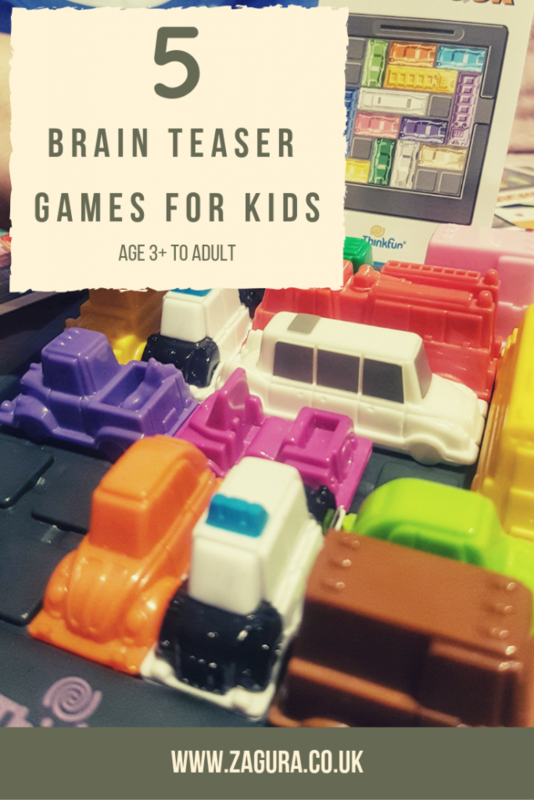 favorite brain teaser games. We also have two Rubik Cubes, 2X2 and 3X3, still none of the kids have discovered their charm yet, so we are the only ones playing with them at the moment. And yes, I am always on a look out for new challenges when it comes to games, so just let me know your recommendations in a comment below! Fun fact: did you know there is a month dedicated to Brain Teasers? There really is! January is the International Brain Teaser Month! All photos have been taken by me. The post contains affiliate links to make it easier for you in case you want to purchase any of these games. Another great subject with excellent pictures. A lot of work went into this! Anyway, sorry for getting off topic, those puzzles you have shown are all intriguing and thanks again for going to all the hard work of posting this entry! I love these kind of mind games.. I need to get my boys into them.. so good for your brain! These are pretty cool games! We have RushHour Jr, and I love it. We also have something like the IQ puzzler. All great ways for kids to use their minds and learn to strategize. Thanks for sharing. I think I’m going to get one of these for my newphew. Wow these puzzles look A-MAZE-ing. I have the older version of Labrynth from when I was a kid, but I will definitely check out your other recommendations. You are the second person that mentions an older version of Labrynth, and I had no clue it was launched in ’86 or so! It’s so lovely to have kept games from your childhood! There is also a movie called “Labyrinth”? I had no idea! I learn so many things through my blog :)) So would you recommend it? Yes I recommend you watch it. The 1980’s are known for having produced lots of children’s fantasy movies – and Labyrinth is one of the better ones!